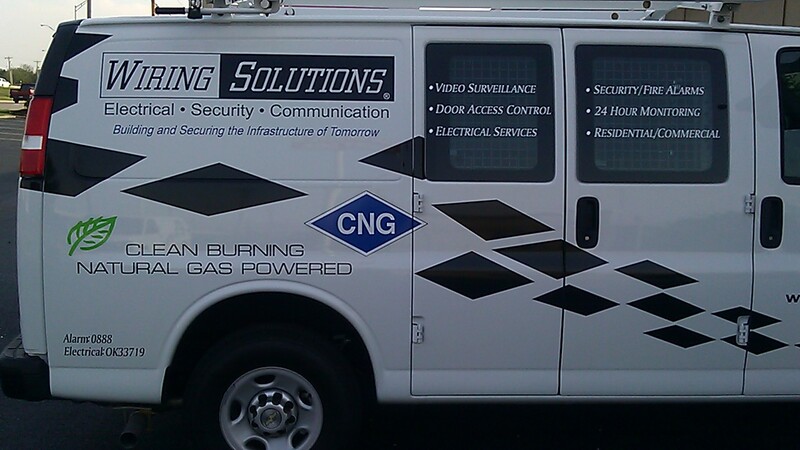 Wiring Solutions has begun the process of converting our vehicle fleet to run on CNG (Compressed Natural Gas). Our first dual-fuel CNG vehicle (a Chevrolet 2500 extended cab truck for our Commercial Electrical Division) was put into service around the first week of July, 2012. The benefits we have seen have proven that CNG is a viable alternative for our company, and our second, third, and fourth CNG vehicles have been put into service, with a fifth ordered. The new trucks are CNG only (as opposed to dual fuel) and are purpose-built Chevrolet 3500 service vans. The General Motors 4 tank configuration will provide for over 365 miles between fills, so is completely comparable to a liquid gas unit as mileage is concerned. The 6.0 liter engine will provide plenty of power for a fully loaded work van (CNG fuel typically reduces engine output by 7% – 10%). In short, the only difference between a CNG vehicle and a liquid gas vehicle is the fuel type and initial higher price of the vehicle. Update: 1-1-14 With the addition of new employees and several new large projects recently being awarded we have purchased and ordered an additional four Chevrolet 2500 HD trucks in the bi-fuel configuration and six Ford F250 CNG Trucks. Eight of our trucks were ordered with service body beds with integrated 24 GGE CNG tanks. Our CNG fleet now numbers 19 vehicles and our overall fleet continues to grow. As of February 2015 Wiring Solutions has invested over One Million Dollars in CNG technology, including our on-site private fueling stations. We see this as a tremendous boost to the local economy as Oklahoma is one of the largest producers of natural gas in North America. CNG vehicles will greatly reduce our company’s carbon footprint and overall environmental impact. 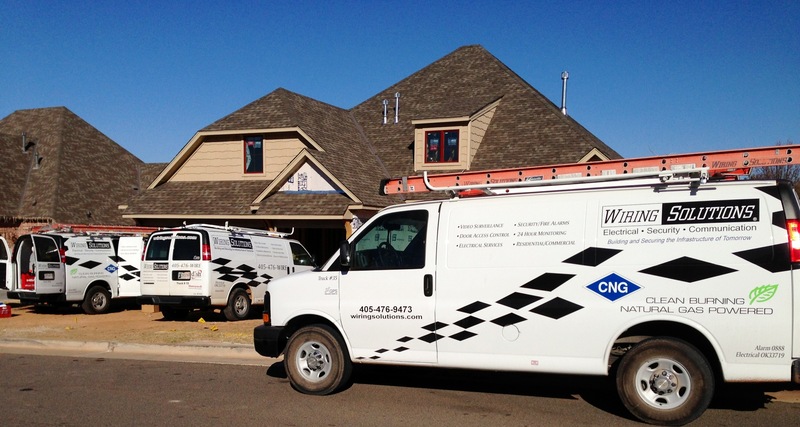 Wiring Solutions consumed approximately 54,000 gallons of CNG, Unleaded, and Diesel fuels in 2014 across our 36 vehicle and heavy machinery fleet, and we are working toward making CNG our primary fuel source. Natural Gas is produced in North America, and Oklahoma is one of the largest producers. We are proud to do our part to reduce dependency on foreign oil and support Oklahoma jobs. Please visit CNGnow.com for more information on Compressed Natural Gas as a vehicle fuel.